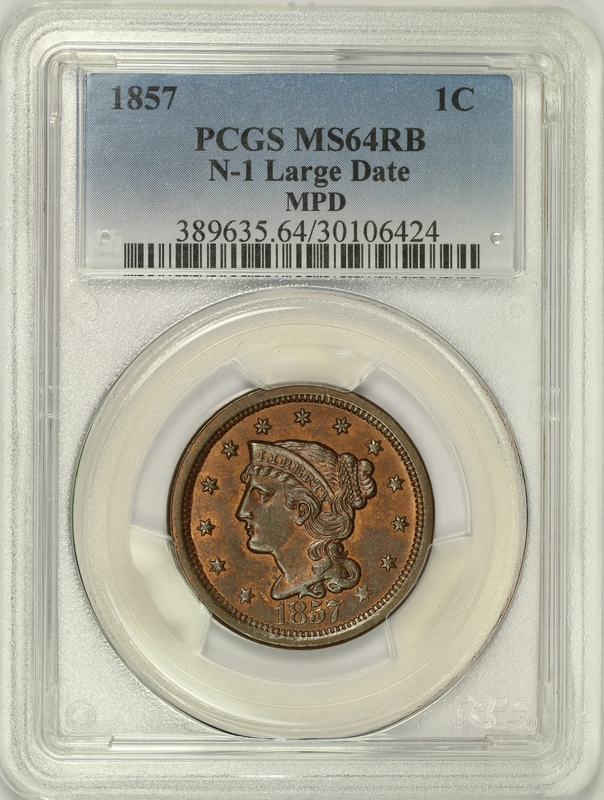 This 1857 Large Date Large Cent has been graded MS64RB by PCGS and is encapsulated in one of the newer-style edge-view holders. 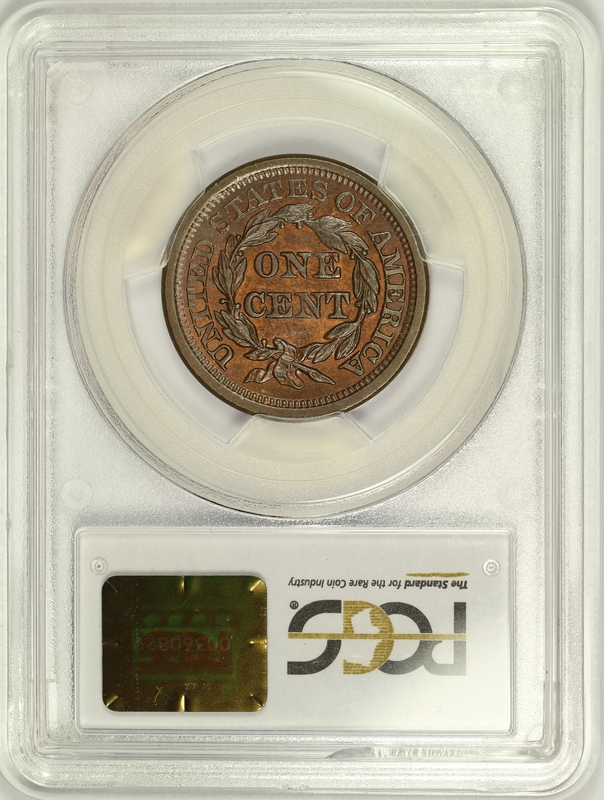 The color of the coin is an even and pleasant red-brown color that is free of spotting or distracting discolorations. 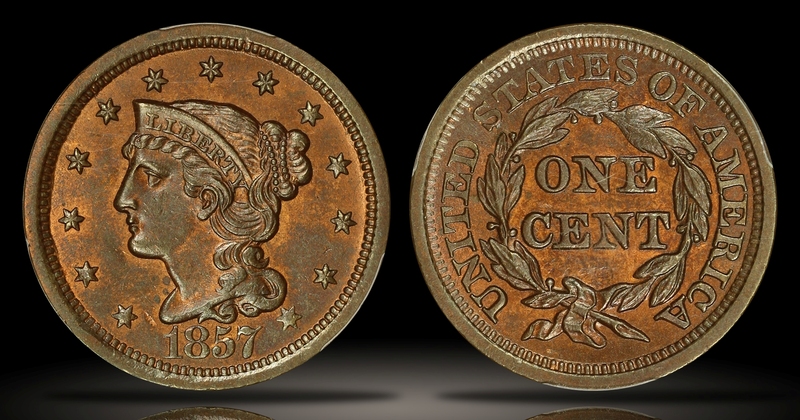 There are a few marks on the coin which keep it from the gem grade including one to the left of the date and some minor planchet depressions underneath CENT on the reverse. 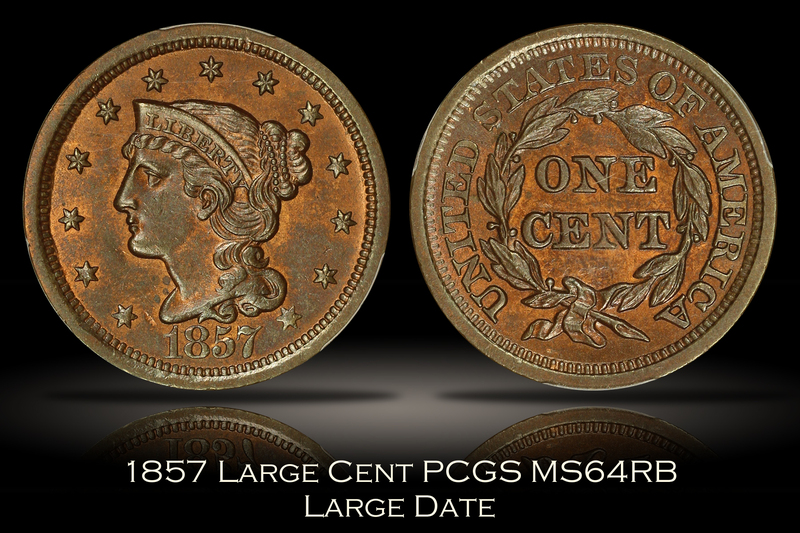 An eye appealing uncirculated example of the last of the Large Cents with plenty of original Mint red color remaining.